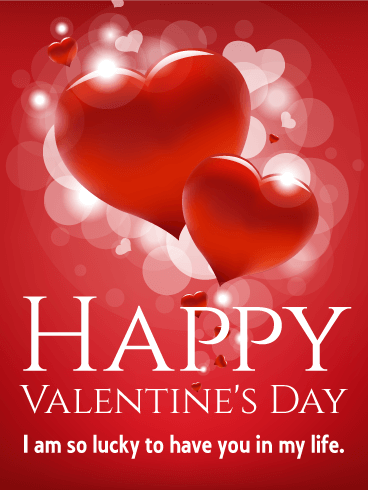 Happy Valentine's Day! - I feel so lucky that you are my Valentine. Candlelit dinners, nighttime walks on the beach, champagne to toast to the future happiness of your love... These are the perfect elements for a romantic Valentine's Day date. The only thing missing is a gift and the perfect Valentine's day card. 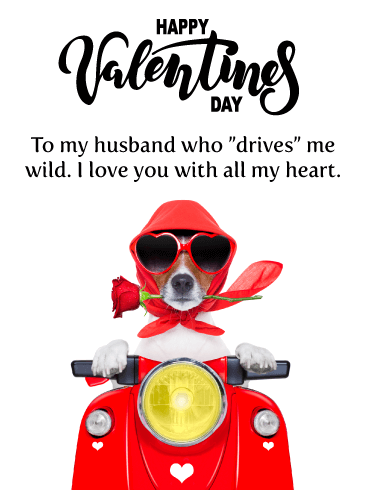 Use the romantic atmosphere created by this Valentine's Day card to invite your significant other to a special date and let them know how deeply you love them. When you met your sweetheart, did your heart feel like it would beat out of your chest? Did you get the warm tingles in your fingers or butterflies in your stomach? This Valentine's Day, use this beautiful card to recapture those exhilarating feelings! 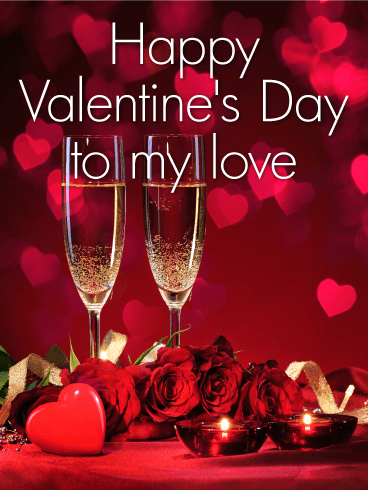 The white, pink, and red hearts and sweet message will show the depth of your love and affection to your significant other on this special day. Some say that love can blossom like a flower in the spring. 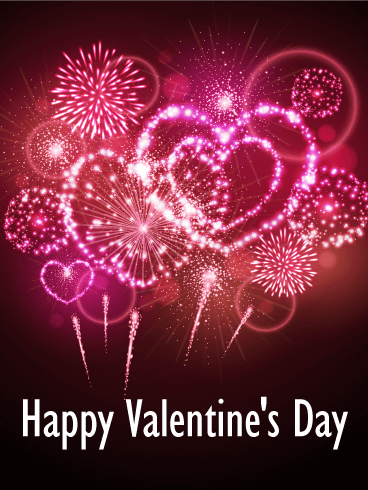 If your love has blossomed and grown, celebrate it with this lovely Valentine's Day card! The soft pink roses will show the beauty and sweetness of your love, while gently communicating the romance you share with your loved one. 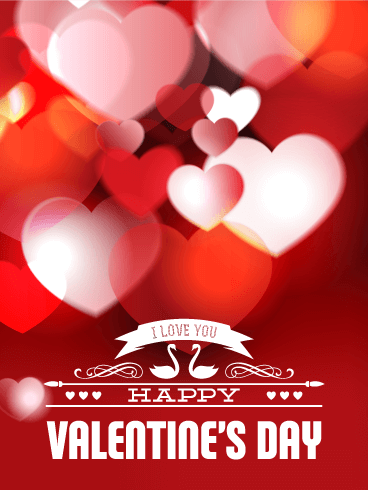 Use this Valentine's Day card to tell your wife or girlfriend that you love her today! If the love of your life makes you feel like you won the lottery or found a lucky penny, use this Valentine's Day card to let them know! 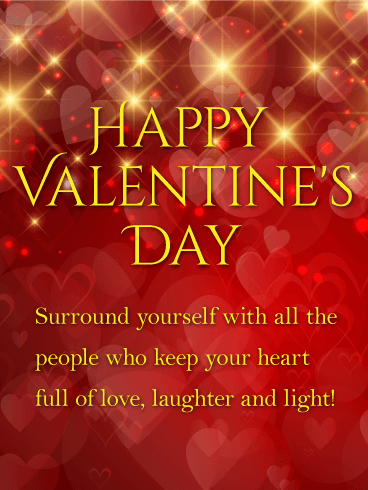 The large red hearts in the card's center and smaller red and white hearts behind them will shine a spotlight on the love you have for your partner. 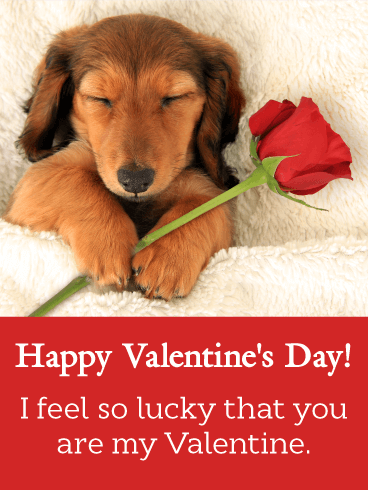 Send this sweet, romantic card to celebrate Valentine's Day with your loved one this year. Sometimes you need a little extra sweetness added to your day! If your partner adds sweetness to your life, send them this fun Valentine's Day card! 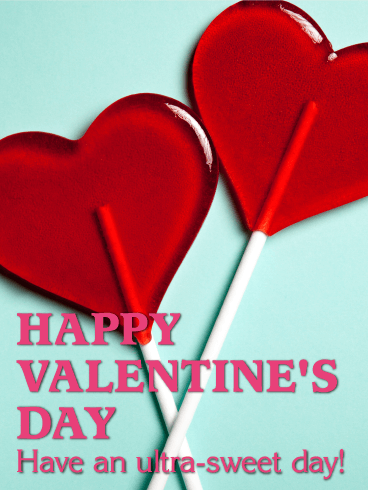 The heart-shaped lollipops are the perfect addition to a cute message for this love-filled holiday. Plus, there's an extra one to share! Send this Valentine's Day card to add a little sugar to your sweetheart's day! Are you in love with your soulmate? Is your wife or girlfriend the only one for you? If so, this card is the perfect way to celebrate Valentine's Day this year. The full, pink roses and soft pink pattern create a romantic, loving feeling that is perfect for this special day. 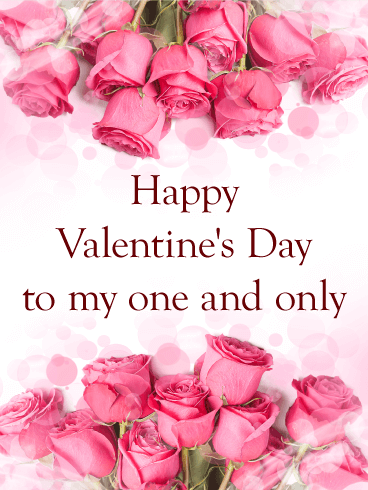 Use this holiday and this Valentine's Day card to tell your love that she is and always will be the only one for you! 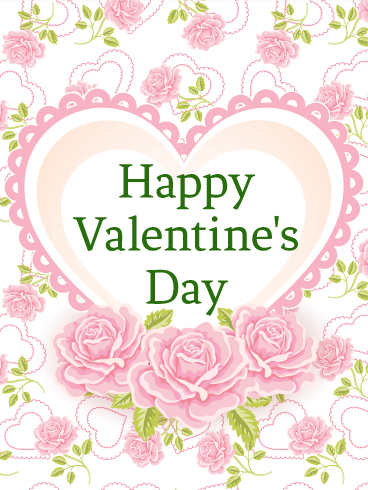 Do you remember making handmade, construction paper Valentine's Day cards as a child? 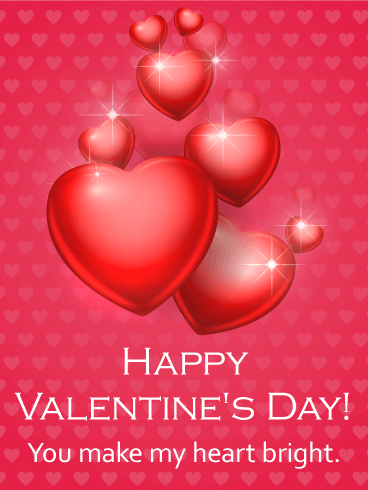 Now, instead of using crayons and glue, you can send a charming Valentine's day card right to your loved one's screen! 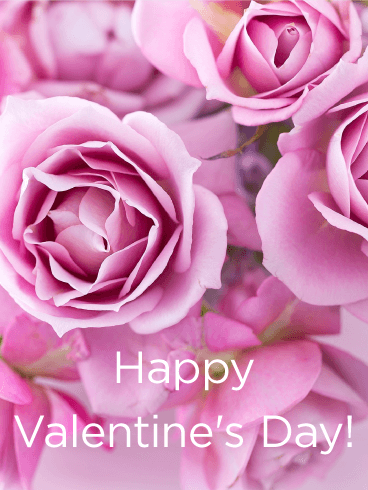 The pink roses and lace-edged heart on this Valentine's Day card are the perfect way to share your caring and affection with the one you love today! Does every room brighten when your sweetheart walks into the room? Does your heart feel brighter and lighter whenever they smile? This Valentine's Day card is the perfect way to let them know! Let the shining hearts, Valentine's colors, and sweet message bring a smile to your loved one's face by showing them how you feel before the day is over! Flowers have been used to convey feelings and messages for hundreds of years. By sending a bouquet of red roses, you communicate your love, passion, and commitment to your partner. 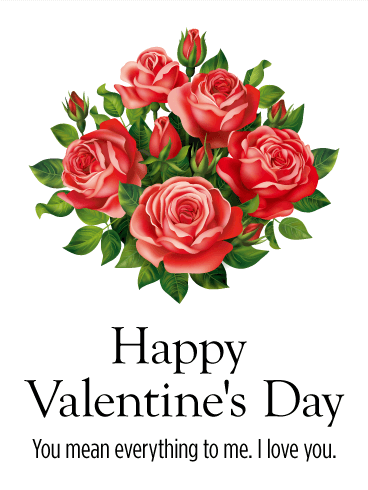 If you are too far away to give a real bouquet of roses to your sweetheart, use the bouquet on this card as a beautiful substitute to send with your Valentine's Day message!